Hammurabi develops and delivers customized training to suit client needs. 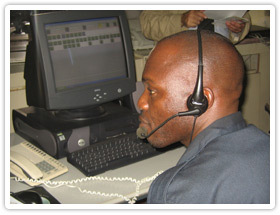 Global training delivery ranges from IMO model courses in institutional settings to front-line ship security training on board vessels. Many companies are investing in e-learning courses as an economical alternative to classroom sessions. At Hammurabi we feel that there is great value in face-to-face learning with knowledgeable instructors.